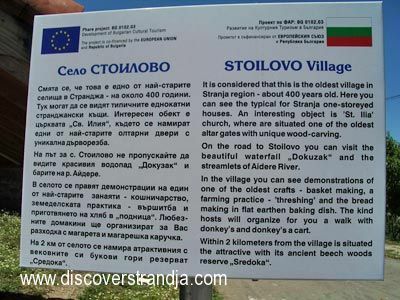 The village of Stoilovo is perched on a hill between Veleka and Aidere rivers. 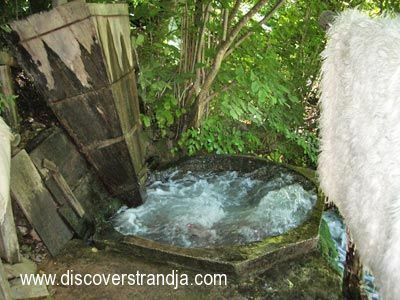 The view towards the inner part of the mountain is astonishing, the nature is beautiful and the village is one of the oldest settlements in the Strandja region. We will walk along the streets to see some well preserved old Strandjan houses as well as the village church "St. Ilia", which is declared a monument of culture. It has been built upon the foundations of an antique temple and it has probably the oldest altar gates preserved, dating back to 17th century. Next we head to the Dokuzak area, the place preferred by the locals for rest and picnic. There we enjoy the unforgettable view of the river with several scenic streamlets and small but beautiful waterfalls; we visit the famous fulling-mills; we see some samples of the endagered plant Crimean tea, of which the area is a major habitat and we have a small snack, of course with a cup of energizing tea. We have a short stop at the basket masters to see how they knit baskets of hazel sticks.